The Agfa xx35 series of cameras (in this case the 1035) and the Plaubel Makina 67 are both wonderful examples of what what appears to be German functionalist industrial design. As you might notice they are fairly similar in shape and design features, though obviously not size. For a while I assumed that this was just coincidence, or at least that there was no real connection between the designs beyond perhaps a slither of inspiration in one from the other. That was until I found a Makina 67 in my hands and realised just how similar they really are. 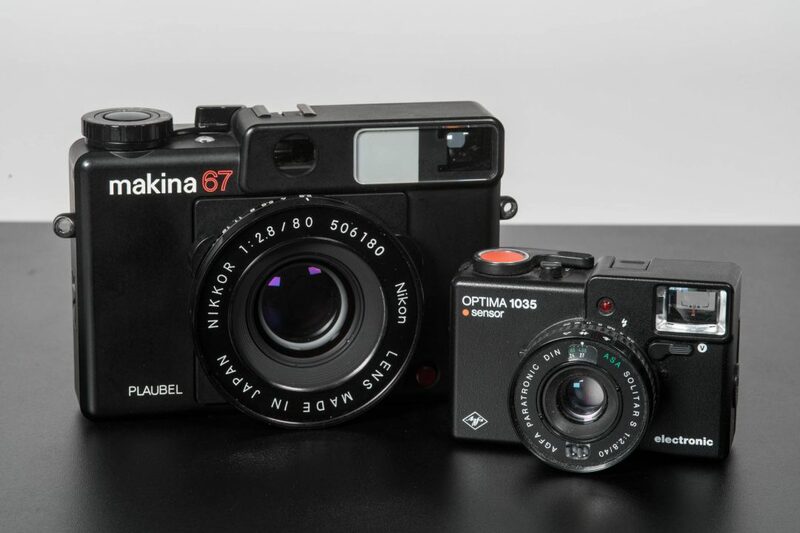 I found this all quite intriguing, especially as the Makina 67 is of course a Japanese camera and not a German one. As such, I decided to do a bit of digging to see what, if anything, they had in common. 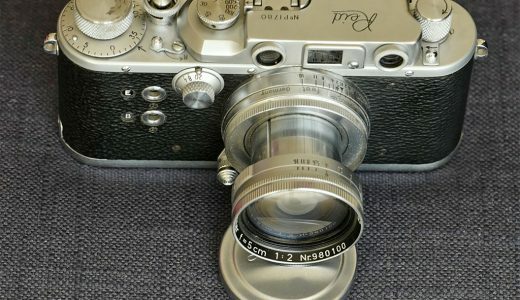 Having now been in direct correspondence with the son of the designer of the Agfa, and indirect correspondence with the designer of the Makina, I thought I’d write a little bit about what I know and what I’ve found out… but first a bit about this sort of industrial design, and indeed why I like it so much. There’s quite a lot that attracts me to the design of these cameras – first and foremost its their simplicity of function. Both are wonderfully pared down in terms of their functionality, which as regular readers will be well aware, is something that I quite like in a camera. But beyond the simplicity of function, I also find the simplicity of design very appealing too. Functionalist design originates from the idea that function comes first and form follows it. With the form being almost a by product of the function there is therefore no need for any ornament, flourishes or extravagances. Now, I must admit, beyond a very strong taste for this sort of aesthetic in the products I use, I don’t know an awful lot about industrial design. I know what appeals to me and I know what works well for me, but I don’t know much about the history. In fact, until starting down this particular path of discovery, Dieter Rams was possibly the only German functionalist industrial designer I could have named, and even he is someone who’s entered my consciousness only within the last 5 or so years. As mentioned, those who’re familiar with this website will know how fond I am of simple designs and user interfaces when it comes to cameras. But even as a child I can remember finding a preference in simplicity and uncluttered aesthetic. As an adult these preferences have stuck with me, and though I am now fighting with than a little in my photographic composition (something I might come back to another day) they have also had an influence within my work running a creative agency. Going back to the early days of my career I can remember that I’d heard about the KISS principle, but in talking to clients and colleagues I’d come up with my own way of describing my design preferences. I often referred to what I called “simple up” design as something as a preference over “complicated down”. To me the process of “simple up” design involved focusing on what amounted to the absolutely essential for something to work without anything superfluous. “Complicated down” was the way I described what many people would call “a sledgehammer to crack a nut” – that is to say it’s the design ideal that’s based around including every single feature and function anyone could possibly want in a thing to appeal to the widest possible audience. The latter is an ideal that consistently confounds and disappoints me – see my recent review of the Fuji X100f, and this post about the lure of the uncomplicated. With this in mind, if you know anything about Dieter Rams and his 10 principles of good design, you’ll probably be able to imagine how I felt when I first came across them. I can quite vividly remember watching a video with Rams discussing his ideals and realising just how many of them fitted so strongly with my own. This was followed by the discovery that Apple industrial designer Jonny Ive is quite vocal about how strongly influenced he is by Rams, and a whole bunch of my design preferences started to fit together. I still use the phrases “simple up” and “complicated down”, in fact I’ve used them quite regularly on this website to help describe why I do or don’t like particular cameras, but having discovered Functionalism and Rams’ ideals I now feel they have context in wider design theory. I mention all of this to highlight the point that it’s my opinion that very few cameras so specifically and elegantly represent these design ideals as the two cameras I’m talking about in this post. Short of the Leica rangefinder, I can’t think of many camera designs that I find as aesthetically appealing as the Agfa and Plaubel Makina 67. 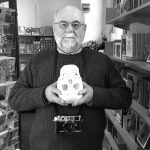 Actually in use, they both have their foibles – what camera doesn’t? But, what makes them attractive to use is that they’re so simple and so uncluttered with features, that the foibles are entirely easy to work with and around. I shall write about using both these cameras at some point in the future, but for now hopefully that’s enough for you to understand the favour I hold toward both of them. I should say at this point, Dieter Rams had nothing to do with the design of the Agfa xx35 cameras. The Agfa cameras were in fact designed by German company ‘Schlagheck & Schultes Design’. But, whilst Rams had nothing to do with the design, Herbert H. Schultes and Norbert Schlagheck were from the same era of German functionalist industrial designers. So where, you may wonder, does the Plaubel Makina 67, a Japanese camera, fit into this? A little while ago I started writing a post about this Agfa camera. It possibly comes as no surprise that the focus of my post was to be on its industrial design. Unfortunately the notes app on my phone had a wobble and I lost it. I subsequently discovered this insightful piece on Alfred Klomp’s website and with that being as good as it is, found myself less enthusiastic about writing about the camera until I’d put more rolls of film through it. That said, in the process of researching the camera I did find reference to Herbert H. Schultes and the cameras design here. Since then this page on camera-wiki.org has appeared confirming the origins of the design as being from Schultes’ company, the aforementioned Schlagheck & Schultes. The day I got the Makina 67 and held it next to the Agfa I started digging again. I’d hoped it would have been as simple as it being designed by the same people, as it turned out it wasn’t. What quickly became quite intriguing was that whilst it wasn’t designed by Schlagheck & Schultes, there was some connection to the company. Take a look at the Makina 67 page on camera-wiki.org. 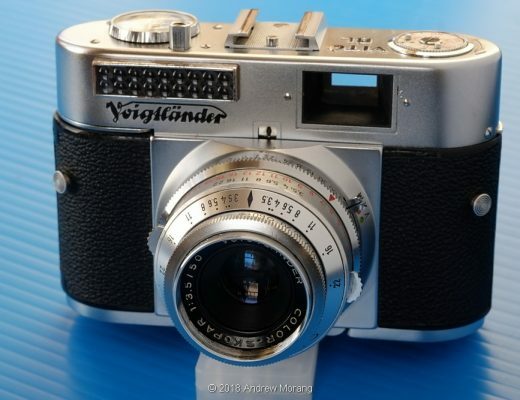 As you’ll read, the Makina was indeed a Japanese camera, but the designers had consulted with a German industrial designer by the name of Udo M. Geissler. This made sense to start with, no doubt Mr Geissler was another functionalist designer from the same era. I kept reading, and at the bottom found reference to Schlagheck & Schultes. The article even goes as far as to suggest that Mr Geissler might have designed the Agfa cameras. Of course this questioned all of the nuggets of info I’d already found about the Agfa cameras so I started searching google to find out the connection between Schlagheck & Schultes and Mr. Geissler. The first result I found was this page on a website called Schlagheck design. Somehow I’d not spotted the link on the camera-wiki.org page. The company that designed the Agfa still exists, and in its history page mentions the connection between Schlagheck & Schultes and Mr. Geissler. This backed up the Makina 67 Camera wiki page that said Geissler was from the industrial design department at Munich University, but as it turns out, so was Norbert Schlageck. So maybe, I wondered, if these chaps were colleagues, did Mr. Geissler in fact design the Agfa? Having now discovered the Schlagheck design website, and not finding anything much else about Mr. Geissler online short of a couple of nice Functionalist designs he did for Osram, I decided the only option was to send an email in the vague hope I might get something useful back. What I didn’t expect was to get an email from son of Norbert Schlagheck, Julian Schlagheck. In my first email, I simply asked for some clarification. What I received from Julian was just that. Schlagheck & Schultes were responsible for the Agfa, and whilst Mr. Geissler was a colleague of Mr Schlageheck at the FH University in Munich, he was not involved in the camera designs. To this I replied with more questions about how and why the cameras look so similar. To which Julian replied that he would ask Mr. Geissler himself and report back… How exciting I thought. A few days later I received an email back with Mr. Geissler copied in that explained that Geissler had been a party to the Makina design but that there was definitely no connection to Schlagheck & Schultes. In fact, Mr. Schultes was at the time not particularly happy with just how similar the design was, but there had not been any real fall out, and no legal action was taken by Agfa against Makina. He went on to say that the design of both cameras should really be seen as reflecting “state of the art for this period of European design understanding”. So there we have it, these two beautiful cameras weren’t designed by the same person. They were in fact the product of two industrial designers from the same era of German functionalist design. It would seem that Mr. Geissler was inspired by his colleague’s design, but it’s nice to know that nothing serious came of Mr. Schultes unhappiness. As it came to be, both of these cameras were able to coexist, even looking as similar as they do. Nearly 40 years later, I’m the very proud owner of both of them; two cameras that appeal to me as tools but also as wonderful examples of industrial design that for me and my ideals suits me to the core. It’s also been a real treat to have an brief conversation with someone so close to the original designers – so thanks to Julian for taking the time to talk to me! This was such a good article, and quite different too! This is why I check in on 35MMC everyday. The designs from that era did favor functional, workable solutions without forgetting the end user. I’ll be the first to comment on the iconic M Leicas (before the M4 & it’s canted rewind disc.) I love the shape of my M2. The vertical metal front plate encompassing the lens mount, ending in a semi-circle where it meets the baseplate. The squared off end with the rewind knob. I can grasp my M2 with left thumb & forefinger (fingers wrapped around the back) on the rewind side, with the strap wrapped around my wrist. Holding the camera vertically, I can see something, swing it up to my eye, fine focus and snap! I drop the arm back down. It’s more awkward w/an M4-7. BTW, VW Bugs also fit into the design aesthetic of that era. Thanks for the article. It was a enjoyable read. 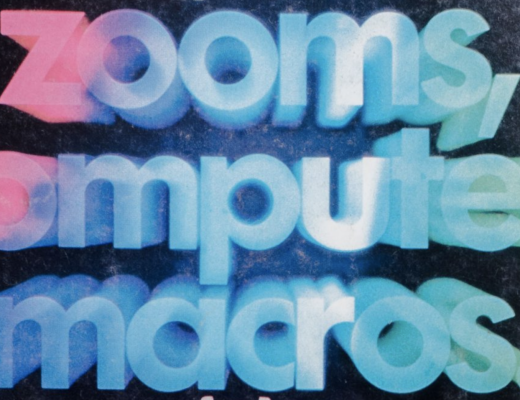 Such a great article, i like the biographical approach to the cameras/design/designers. Really good of them to actually get back to you. Hope there can be more, along a similar line (although I get that it could be in some way, unlikely). Thanks. I love a good detective story! Thanks! That camera-wiki entry I was familiar with already, nice to have some deeper insight now. Love the design, as well as some other german / munich style examples from that era..
..just a tiny bit nacissistic, but beautiful and timeless. May the Makinas live long and prosper! wrote to Kei Ogata of Plaubel and he recommended Arlüwa ( http://www.arluewa-czens.de) instead). Thanks TK – this one was serviced in london at aperture, they seem to have done a good job! You have me intrigued now – any other classics from the era that you particularly like? 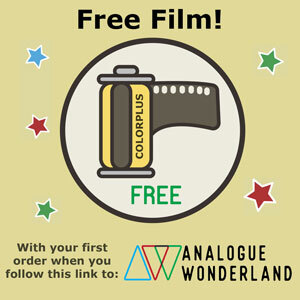 Very interesting, so much so I’ve bought an AGFA optima to have a play with. After having a bit of fun with an old Olympus XA recently (still power in it, not used the thing in 10 years) I’m keen to try out more of these less Leica level cost cameras, Makina being the exception of course. Maybe you could review the 67 in the future. Have ou done a review of the Plaubel. I for one would be interested to read it. I look forward to it, though, I do sometimes covet that camera.